– Know who you are and what you want. Focus on desired goals, but be open to changing circumstances. – Don’t hold grudges or blame others. Listen, understand, make needed changes and move on. – Be open to new ideas and strategies and adapt to changing circumstances. Continue to learn. Read, take courses. Challenge conventional beliefs. Find better ways to do things. Place no limitations on yourself. – Look upon something different or unknown as an opportunity to challenge yourself. If you don’t try something new, how will you find out you can do it? View mistakes as learning experiences. – Use intellect and intuition when making decisions. Research needed information, then use intuition. For example, ask dreams a question before falling asleep, journal, meditate, relax in nature. – Be authentic. Do what you feel is right for you, not what others think. Your actions should be consistent with your thoughts and feelings. Don’t succumb to peer or family pressures. – Manage Fear. Identify worrisome issues. Minimize these by researching relevant information and resources. Live in the present. Let go of “attachments.” Form a support system. – Enhance courage to risk. 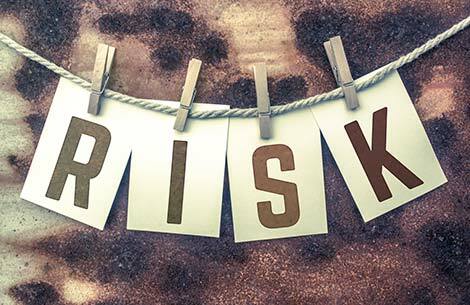 Review three successful risks taken. Note what made these successful. Identify perceived barriers for taking another risk, and explore ways to overcome these. – Strengthen resilience. Approach problems from different perspectives. Ask for feedback from people with diverse backgrounds. Take things out of their ordinary context and create new patterns for them. Notice the number of ways you can use egg or milk cartons. Develop a playful, childlike curiosity. Ask questions, experiment. – Describe a work or personal situation where you showed flexibility. For example, working for a college degree while meeting changing demands of family members. In addition, recount a situation where you demonstrated adaptability. Dan works as a sales clerk to support his fledgling acting career. Before that he taught school, following 11 years as a computer programmer. You may perceive Dan to be a risk taker having left two positions which had good security and pay. But Dan doesn’t see himself as a risk taker. For Dan, risk involves physical activities such as mountain climbing. Most of us are more conscious of the risks we avoid than those we take. That’s why we don’t think we’re risk takers. And because we’re aware of the risks we avoid, we assume that others take bigger risks. But they may be avoiding risks we’re taking. So risk, in this sense, is in the eye of the beholder. Physical danger – sky diving, skiing, taking drugs, having cosmetic surgery? Psychological/Emotional – staying in a dead-end job, getting married or divorced? Social – giving a presentation, telling jokes at a company party, traveling solo in a foreign country? Intellectual – taking a graduate course, chairing a high-level policy meeting? Economic – investing in stocks, buying a home, starting a business? Career – changing jobs or any combination of the above? – Think about three successful risks you’ve taken in any life component. What did you do to make it turn out well? In which categories did the risks fall? What have you learned about yourself and your risk taking behavior? – Describe barriers that are blocking you from making a desired change. For example, Personal Barriers include fear of loss of a secure income; fear of failure (such as starting a new job); fear of what others will think; fear of success; and guilt that change might create family hardships. – Live in the present. Because most fear centers around the future, don’t spend time worrying about what might happen. – Know yourself. Clarify your purpose, strengths and priorities. What do you really want to do? How does this differ from what others think you should do? Replace the “shoulds” with your own values. As you turn your priorities around, risking will become easier. It’s simpler to risk for something you’re passionate about. – Clarify a goal in harmony with your purpose. State and write down your goal and outline a plan to achieve it. Break the goal down into small steps. What’s the first step you could take? When could you take it? Do this for each step. – Watch “self-talk.” Each time you catch yourself saying something that fuels your fear, say “cancel,” and replace it with a more positive statement. Shift your vocabulary from being a victim to someone with power and strength. – Educate yourself. Read books, listen to tapes, or take courses on building confidence, strengthening ability to risk, or any other topic of interest. – View setbacks as learning experience as you move toward your goal. Failure can be reduced by researching, planning and persisting. Depersonalize setbacks. Ask yourself what you would do differently and then make the necessary modifications. – Look upon something new as an exciting opportunity to challenge yourself and to grow. If you don’t try, how will you ever find out if you can do it? – Balance tentativeness with commitment. Set goals but don’t write these in stone. Be open to new experiences. – Establish a support group. Confide in and ask for help from supportive family or friends. Associate with positive people. – Complete this Fantasy Risk Exercise: Think of an important risk you would like to take. What appeals to you about taking this risk? What would you gain? What is frightening about this risk? What will you lose? What’s the worst thing that could happen if it turned out badly? If the worst happened, what would you do? Spring is a time for renewal and rebirth. Spring, a season of transformations, may be the time to dare yourself to make desired changes in your life career! Case studies of purposeful, growth oriented, Questers, quizzes, and guidelines show how to manage lifelong personal, career and spiritual growth. 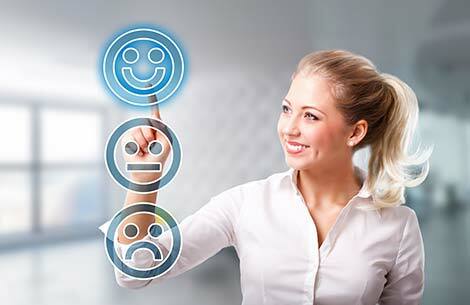 Questers answer many questions adults have related to career and personal growth. I am available for interviews and consultations. A complementary pdf copy of Questers Dare to Change is available for review. My website provides sample articles and additional information: www.questersdaretochange.com. Author Bio Carole Kanchier, PhD, is an internationally recognized newspaper/digital columnist, registered psychologist and author of the award-winning, Questers Dare to Change Your Job and Life, and the forthcoming Arouse the Force Within You! She has taught at University of California, Berkeley and Santa Cruz and University of Alberta, and served as visiting fellow at Institute of Transpersonal Psychology, Palo Alto, and other institutions of higher learning. Dr. Kanchier is known for her pioneering, interdisciplinary approach to human potential. – Measure success by internal standards. – Enjoy process of learning, mastering, attaining. Spring is a time for renewal and rebirth. Most cultural traditions across the globe, celebrate spring or the rise of the vernal equinox as a time of new beginnings. March 21 in the Northern Hemisphere marks the first day of spring. The New Moon, April 5, 2019, in the Northern Hemisphere is a great time to set intentions — set goals and begin new projects for the forthcoming cycle. Spring is also a time to forgive. Forgiveness is freeing up and putting to better use the energy once consumed by holding grudges, harboring resentments, and nursing unhealed wounds. It’s a time to rediscover our strengths and our capacity to understand and accept other people and ourselves. For example, a recent University of California, San Diego, study found that participants who thought about a hurtful event experienced lingering blood pressure spikes that—if repeated over time – could lead to heart attacks or strokes. Psychologists generally define forgiveness as a conscious, deliberate decision to release feelings of resentment or vengeance toward a person or group who has harmed one, regardless of whether they actually deserve one’s forgiveness. – Recognize you create your own thoughts and have power to change them. Think and talk about what you want. Use positive statements about such things as being healthy and being in control. – Be genuine. Discard preconceived notions of what others think, and recreate the person you are, and want to be! Don’t compare yourself with others. Judge your accomplishments against personal standards of self-improvements. Strive for excellence rather than perfection. Have realistic standards of excellence. – Model forgiveness, particularly if you’re a leader. Leaders’ behavior often has the greatest impact on organizational culture. Leaders who model forgiveness on a regular basis are cueing similar behavior in others. – Express gratitude. Frequent and sincere expressions of appreciation have been found to produce dramatic effects on individuals and organizations. Gratitude can be expressed by encouraging employees to keep a gratitude journal to track three things they’re grateful for each night, writing a thank you card, or emailing someone each day to express appreciation for his or her contributions. Gratitude requires neither big budgets nor heavy time commitments. – Take responsibility for mistakes. Apologize and attempt to make restitutions. If we don’t take responsibility for our mistakes, distrust grows and the fear of something happening again can be worse than the original incident. – Rebuild trust by working on a common task. This creates new experiences and memories of cooperation. – Let go of resentments. Resentments thrive because we are unwilling to end that altercation with an offer of kindness and forgiveness. – Forgive. Forgiveness is pardoning without harboring resentment. Release old hurts. You don’t have to befriend the individual, but you must release negative emotions associated with that person. When you hold onto pain, you’re allowing that person’s actions to continue to hurt you. – Depersonalize perceived negative comments, and respond with kindness. Send the higher, faster energies of peace, joy and forgiveness as responses to whatever comes our way. – Live in the present. Enjoy good things about the present moment, rather than being consumed with anger over the past or worry about the future. – Don’t judge. Try to understand where the person may be coming from. Rephrase critical internal thoughts to positive ones, or at least neutral thoughts. – Participate in staff development programs to address conflict and foster forgiveness. Invest in programs that develop understanding and teach evidence-based tools for ongoing workplace forgiveness. Andy was disappointed to learn he didn’t get the position he wanted. Have you ever been passed over for a desired job? Do you know why? – Show you’re knowledgeable about the company and its needs. Research the organization and job. Call contacts to get an insider’s perspective. Be conversant with the company’s product and services, and recent developments in the industry. Know how to describe contributions you can make. Identify and contact hiring managers. – Prepare several resumes. Target each one to a specific job. Demonstrate how your experience, skills and accomplishments fit the job and company. Prepare a scannable resume. Use dashes instead of bullets. Avoid fancy treatments such as italics, underlining and graphics. Employ key words listed in ads to define your skills, accomplishments and other strengths. Include numbers, dollars and evidence of quality and quantity. Write your résumé in Microsoft Word. Cut and paste the text of the résumé into the body of the e-mail instead of, or in addition to, sending it as an attachment. (Some recipients fear opening unsolicited attachments). When sending your résumé as an attachment, save it in Rich Text Format (.rtf) instead of as a Word Document to reduce cross-platform compatibility problems. – Create a career portfolio. This portfolio should demonstrate what you can offer a potential employer, business investor, or new client. Portfolios provide considerably more information than a cover letter and resume alone. Portfolios use words and pictures, as well as an array of multi-media formats. A portfolio is limited only by one’s imagination. In addition to being shared during job interviews, portfolios can be used creatively as employee evaluation instruments. They can be part of business plans, project proposals, or used to market new business ventures. Portfolios can document student learning in educational courses, and demonstrate employee growth and improvement when seeking job advancement. – Write a short, courteous cover letter. In three or four paragraphs, identify your job objective, highlight related accomplishments, and indicate how you can benefit the employer. Consider including a portfolio with sample accomplishments, publications or other achievements. Think about sending an email “teaser” letter with similar content to the regular cover letter. But instead of sending a resume, ask for permission to send it. – Prepare for interview questions. Practice delivery. Know the names and titles of all interviewers. Answer questions promptly, offering concrete examples. Show how your skills and accomplishments can do the job. Use success stories to illustrate behaviors. Emphasize results. Give data indicating positive results you’ve achieved, such as sales increased by fifteen percent over the previous year. Prepare to answer the following key questions: Tell me about yourself? What are your long-range goals? Why should we hire you? What are your major strengths? Weaknesses? What salary do you expect? How does your previous experience relate to this job? Why do you want this job? Why did you leave your last job? Turn weaknesses into strengths. If you don’t have a ready response, ask for time to think about it. Don’t respond with one-or two-word answers, interrupt or talk too much. Never discuss salary until you’re offered the job. If pressed, give a range, based on current salary in your field. – Present a professional demeanor. Wear the team uniform. This shows you belong in the environment. Research the norm for the area, industry and company. Coordinate pieces. Clothes should be spotless, well-tailored. Hair should be professionally styled, nails well-kept. Avoid strong fragrances. Radiate energy, enthusiasm, confidence and competence. Be positive, genuine. A sincere smile displays good will, friendliness. Show interest in the person or project. Keep hands out-of-pockets. Maintain eye contact with everyone and develop a firm handshake. – Leave with a favorable impression. If employers like you, they may create a job for you even though you don’t fit the skill set of an advertised position. Close the interview emphasizing key skills and why you should be hired. Never refuse an offer on the spot. Follow-up each interview or mailed resume with a call. Send thank-you notes to interviewers within 24 hours after interviews. Don’t take rejection personally. If one job doesn’t materialize, believe you’ll get a better one. Be patient. Maintain optimism, honesty, persist. I (Carole Kanchier) am available for interviews and consultations. A complementary pdf copy of Questers Dare to Change is available for review. My website provides sample blogs and additional information: www.questersdaretochange.com. Author Bio: Carole Kanchier, PhD, is an internationally recognized newspaper/digital columnist, registered psychologist and author of the award-winning, Questers Dare to Change Your Job and Life and the forthcoming Arouse the Force WithinYou! Dr. Kanchier has taught at University of California, Berkeley and Santa Cruz and University of Alberta, and served as visiting fellow at Institute of Transpersonal Psychology, Palo Alto, and other institutions of higher learning. Dr. Kanchier is known for her pioneering, interdisciplinary approach to human potential. What personality traits enable them to succeed? What gives them inspiration and courage to pursue causes important to them? Could you do the same? Questers, who have been around for centuries, represent all ages and backgrounds. They’re not perfect, but possess many characteristics needed to succeed in uncertain times. 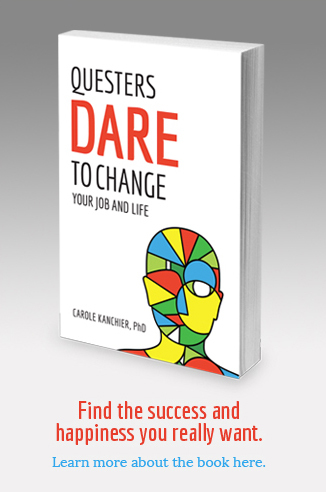 My research on lifelong career change and empowerment, described in Questers Dare to Change Your Job and Life, illustrates people with Quester qualities. https://www.amazon.com/Questers-Dare-Change-Your-Life/dp/1508408963. Questers are authentic, have a sense of purpose, courage to risk, and take charge of their lives. They’re confident, resilient, and value intrinsic rewards such as autonomy, challenge, and growth more than external rewards like status, money, and security. Optimistic, creative, and inner-directed, they view failure as learning experiences and measure success by internal standards. Periodically, they reevaluate goals and make needed modifications to maintain congruence between who they are and what they do. Individuals, who take a more conventional approach to their careers, are called Traditionalists. Committed to organizational careers, they value external rewards and measure success by how their careers measure up against the approved timetable. Although they may achieve temporary security, future options are limited. In a world of continuous change, security must come from within. The differences between the types lie on a continuum. Everybody needs some security, growth, and challenge, but the types have different priorities. Quester qualities are healthy and enable us to adapt to change. 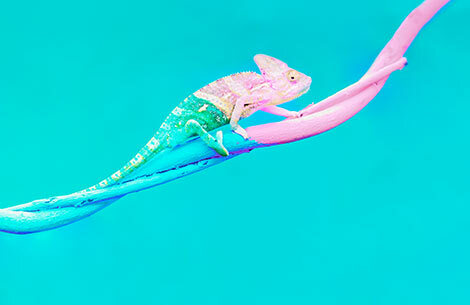 Questers report higher levels of self awareness, job and life satisfaction, health and longevity than Traditionalists. Questers create work in harmony with their purpose and move up or down the occupational prestige ladder to achieve fulfillment and growth. Career advancement, to them, means growth of the whole person. Fred studied mechanical engineering because he loved “fixing things.” He enjoyed his early work but not senior management. Therefore, he created a maintenance position in an apartment complex that enabled him to fix things. “If you’re doing what you like, it’s not work,” he shares. Attuned to changes within and around them, Questers anticipate layoffs. While his colleagues worried about being laid off, Chen upgraded his skills and contacted employers. He was offered a job the day he received the pink slip. Questers, ahead of their times may have to buck societal standards. Galileo Galilei, Italian astronomer and physicist, was considered a revolutionary by the Church. Mahatma Gandhi and Martin Luther King Jr. both risked going against the tide of popular opinion to defend causes important to them. The literature on creativity, self actualization, entrepreneurs, and people who live long, healthy happy productive lives all demonstrate that these individuals possess traits similar to those of the Questers. Famous Questers who have contributed to humankind include Plato, Galileo Galilei, Thomas Edison, Marie Currie, Albert Einstein, Florence Nightingale, Steven Spielberg, JK Rowling, Nelson Mandela, Usain Bolt, Jesse Owens, and John Glenn. Few Questers think of “retirement,” but continue involvement in meaningful paid or unpaid activities that give them purpose, direction, and continuing growth. Dr. Ephraim P. Engleman, a pioneering rheumatologist, continued his medical practice and instructed part time at University of California San Francisco, until his death at 104. Some Quester centenarians are attending school for the first time providing more proof you can teach old dogs new tricks. Ma Xiuxian, an 102-yer old Chinese woman who never had the opportunity to attend school as a child is making up for that. Ma attends school with her primary grade school class mates. They all enjoy each others friendships and support. Jeanne Calmet, a French actress, was riding a bicycle at 100 and appeared in the film, Vincent and Me, making her the world's oldest actress. Calment died at 122. We’re all born Questers, but as we grow older, we lose the excitement for learning. We forget the good feelings that come from mastering challenging tasks. Reprimands, don’ts, and shames result in fear of trying. We set up barriers to growth manifested in expressions of resistance including fear, denial, delay, and low confidence. Fortunately, we retain Quester qualities within that can be strengthened. Sometimes, crises such as layoffs, illness, and divorce precipitate self-evaluation and growth. -  Clarify purpose. Identify themes: absorbing childhood activities, proud accomplishments, when you feel very energetic, a favorite Halloween costume. -  Be authentic. Do what’s right for you. Ensure actions are consistent with thoughts and feeling. Set goals in harmony with your purpose. -  Believe in yourself. Focus on positive qualities. Avoid, "I can't." Don’t compare yourself with others. Judge accomplishments against personal standards and strive for excellence. - Continue to learn. Read, take courses, volunteer. Challenge conventional beliefs. Recognize and seize opportunities. Find better ways to do things. Try. Place no limitations on yourself. -  Enhance courage to risk. Review three successful risks taken. Note what made these successful. Identify perceived barriers for taking another risk and explore ways to overcome these. -  Manage fear. Identify worrisome issues. Minimize these researching relevant information and resources. Live in the present. Let go of "attachments." Form a support system. - Questers Dare to Change Your Job and Your Life provides additional tips to strengthen Quester qualities and attain desired goals. “If one advances confidently in the direction of his dreams, and endeavours to live the life which he has imagined, he will meet with success unexpected in common hours.” Henry David Thoreau. Self talk can boost you up or take you down. Athletes use positive self-talk to reach their personal bests. Some people use negative self-talk to justify the ruts they find themselves in. Mike and Eugene are examples. Eugene, an engineer with an aerospace firm that was terminating workers, kept telling himself and others that he was going to lose his job. Mike, on the other hand, researched options and sent updated resumes to potential employers. Eugene lost his job. Mike was offered a job the day he received his pink slip. When Eugene learned to restructure his thoughts, and updated skills he attained his desired position. Pay attention to your “‘self-talk” – the conversation you have in your head about yourself and the world around you. Is your self-talk positive, growth-oriented, or negative, constraining? What does this quiz say about you? I’m too old to compete with younger job applicants. I know and accept myself. I prefer the tried and true ways of doing things. Career success is defined personally. I do what I “should” rather than what I want. I welcome criticism as a way to grow. I won’t consider relocating for an attractive job elsewhere. My successes are the result of hard work, determination and some ability. I’ll accept a promotion to a job I don’t like for money or prestige. My job gives my life meaning and direction. I’m looking forward to retirement so that I can do what I want. I ‘m flexible, self reliant and optimistic. Career success means having social standing and money to buy the good things. I’ll take a salary cut to further my career. Scoring: 1 point for each “yes” to odd numbered statements, and each “no” to even numbered ones. The higher your score, the more you possess positive, growth-oriented attitudes. A score of less than 6 suggests your life career could benefit from positive self-talk. – Reevaluate your definition of career advancement. 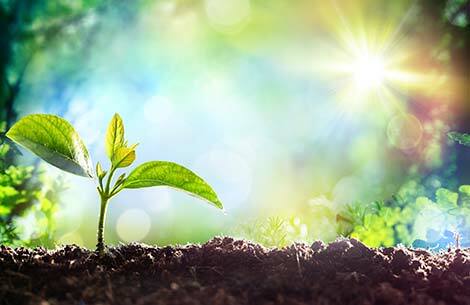 View career growth as a lifelong process of personal and professional development — a continuing quest to maintain harmony between who you are and what you do. – Know yourself and options. Identify your skills, major accomplishments, needs, purpose and other attributes. Explore options that are compatible with your personal characteristics. Specify your ideal job; include field or industry, title, tasks, type of company and location. Don’t choose an occupation because experts predict it will be in demand or to please others. Rather, select one that is congruent with your personal qualities. If you follow your heart instead of “shoulds,” money may be a by-product. – Restructure your thinking to that of creating a job rather than applying for one. Reevaluate your career goals periodically. Modify these as you learn more about yourself and your changing environment. Embrace and grow with change. Recognize you do have options. Testing your options may mean tradeoffs, but usually they’re worth the inconvenience. Know how to market yourself (your product) to prospective buyers (employers). Continue to learn. Welcome opportunities to discover new technologies and enhance transferable skills, such as computer literacy and verbal communication. – Think out of the box. Develop and use intuition. Take quiet time daily to tune into your inner self. Meditate on an object, such as a candle flame or mantra. Ask your dreams for direction before falling asleep sleep. Keep a journal. Communicate with nature. Create a vision board with pictures of your self living your desired lifestyle so it’s in your vision every single day. 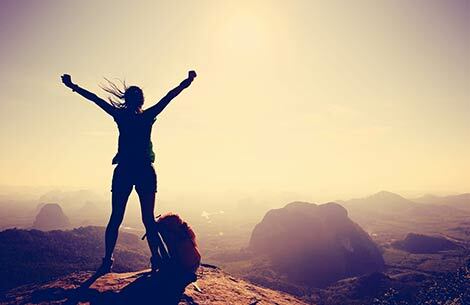 Affirmations can be excellent tools to keep you motivated towards attaining your goal. You must bring your desired goal into the present moment and fully, emotionally and positively believe that it can and does exist in your current reality. – Enhancer optimism. Believe good things will happen. Every time you hear your inner voice criticize, stop and think of something positive to say such as “I’m making progress.” Write down things you like about yourself such as “I’m flexible and creative.” Post the list where you can see it often. – Exhibit flexibility and resilience. If you’ve been blocked from attaining a desired career goal, investigate other ways of achieving it. View risk taking as a learning opportunity. Start with small risks in daily activities. Then proceed to more challenging ones. Think of an important risk you’d like to take. What’s the worst thing that would happen if it turned out badly? Where could you get information and support to make the goal less risky? Break the goal into small steps. When can you take the first step? – Live in the present. Don’t worry about what might happen. Depersonalize failure. View setbacks as learning experiences. Persist. Have faith that you’ll achieve your goal. – Be the best you can be. Thank the universe regularly for the positive energy you have to share with others to make the world a better place. You can only receive something positive when you give something positive. Out of the night that covers me, Black as the pit from pole to pole. In the fell clutch of circumstance I have not winced nor cried aloud. And yet the menace of the years Finds me unafraid. Invictus means “unconquerable” or “undefeated” in Latin. The poem was written while William Ernest Henley was in the hospital being treated for tuberculosis of the bone. Henley’ foot had been amputated shortly before he wrote the poem. The piece is about courage in the face of adversity. William Henley, editor of literary magazines and journals, had significant influence on culture and literary perspectives in the late Victorian period in England. His work remains popular today. The Invictus Games, an international adaptive multi-sport event, is currently hosted by a number of countries across the globe. The Games embodies the fighting spirit of wounded, injured and sick service personnel, and what these tenacious men and women can achieve, post injury. The Games harness the power of sport to inspire recovery, support rehabilitation, and generate a wider understanding and respect for those who serve their countries. Prince Harry, Duke of Sussex, who saw how the power of sport could help the physically, psychologically and socially wounded, hosted the inaugural Invictus Games in London and contributes to other Invictus Games across the globe. I am the master of my fate and the captain of my soul means that you decide what happens to you. Although you are a by product of your previous decisions and adopted concepts, you’re currently in the driver’s seat of your life. I am the captain of my soul means that you have the power to choose your mood. You have power to control your emotions, and to attain your desired life. You have the power to become a happy person or choose to be a bitter person. You have power to become a better employee by engaging in productive actions and choices. You have the power to bring out the best in co-workers and superiors, and contribute to making your company a great place to work. You are the architect who has the capacity to create your desired life career. Take responsibility for your own life career; don’t blame others. Being the captain of your soul requires knowing your purpose and pursuing career and life goals in harmony with your purpose. Self mastery requires overcoming adversity. Although life has many challenges, we can’t control the cards that are dealt us, but we CAN control how we react to those events. Addressing challenges gives people strength, wisdom, patience, perseverance, empathy for others. Life’s greatest opportunities are often hidden in adversity. What can you do to make a difference in your own life career as well as the life careers of those who work with you? How can you become the master of your own fate? The captain of your soul? Use the following examples for starters. Work with a partner to give each other support and feedback. Carole Kanchier is available for consultations, coaching, and speaking engagements.